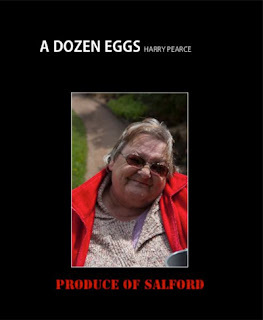 HaVe Photography are pleased to announce the publication of their 3rd book, A Dozen Eggs, looking at the lives of a family of 12 siblings from Salford. The book is published as part of Harry Pearce's final degree show, which includes a 'one-off' Artist Book. An installation, displaying all the images from the book, as well as other imagery and paraphernalia within a family 'living room' setting is planned for the Autumn (details to be advertised in due course). Click on the link above to view the book online.